Strolling through the streets of a Bazaar in Haridwar, an elder from the family suggested that we have our dinner at this Desi restaurant called Hoshiyar Puri. A very old and well known name, the eatery is even more popular for their Aloo Puris & Chhole Bhature, served piping hot but only for breakfast. We went with the dinner Recommendation and didn’t regret it even a single bit. 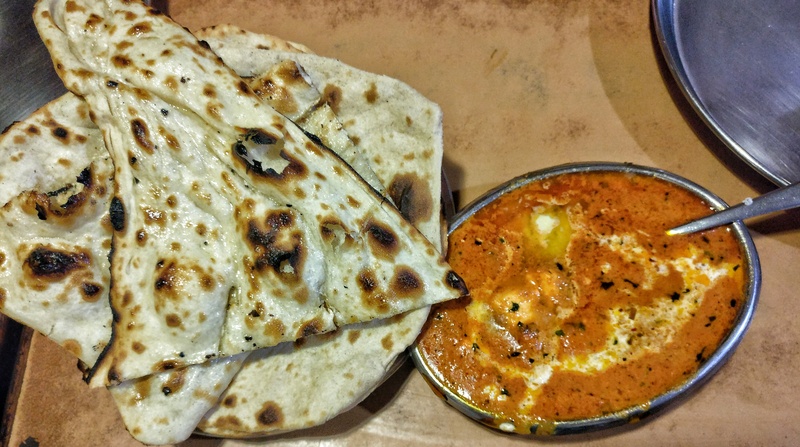 Hearty Indian dishes like Kadhi Pakoda, Paneer Butter Masala & Dal Makhani were served in a kind of claustrophobic setting made even more uncomfortable by the humidity of Haridwar. Nevertheless, the meal was enjoyable and the torturing ambience didn’t really hamper the taste. When in Haridwar, you can surely choose Hoshiyar Puri as your dinner place if you’re fond of Desi Food and can adjust with the harsh conditions of a jam-packed Dhaba (they did have Air Coolers though and they were working).